and most of all is a lot of fun to have around? offers realistic solutions to your doggy issues while helping to strengthen the bond between you? 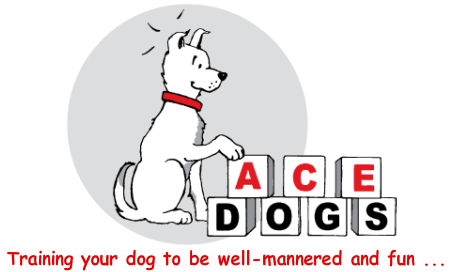 ACE Dogs instructor, Kathleen Kemp, has not only been successfully training dogs and other animals but has over twenty years of experience successfully working with people, as a Secondary School Teacher, Workplace Level Assessor, and as an Instructor (of humans!) in training animals.